Yet these very words can also strike fear into the heart of an aspirant cook. 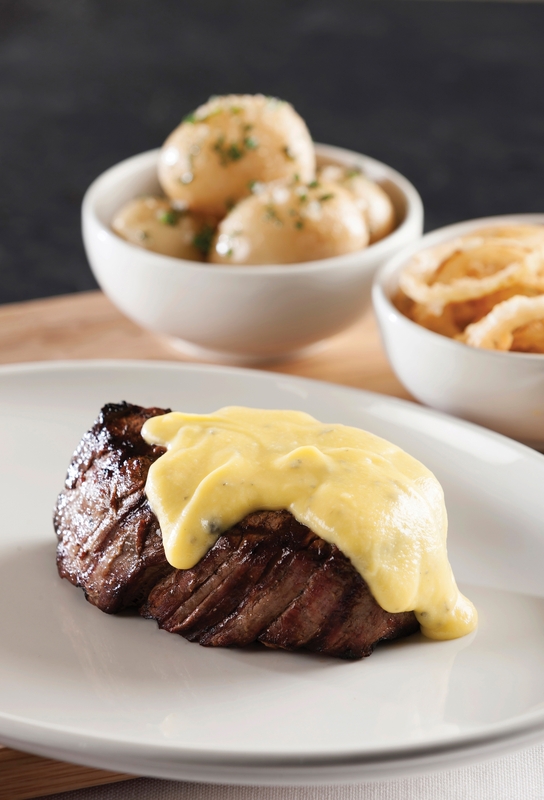 With its French origins, this haute cuisine staple is a traditional must when it comes to grilled steak but making a classic “Béarnaise” can present itself as an intimidating task, especially if you’ve never prepared the sauce before. Making Béarnaise Sauce in the old-fashioned manner, by hand, requires inordinate amounts of elbow grease; all those egg yolks and butter have to be hand-whisked into a smooth consistency. Enter The Hussar Grill. One of the country’s premier grill rooms, and proudly well-versed in traditional fare, The Hussar Grill has been serving its own beautiful Béarnaise Sauce, the “mother sauce” of French cuisine, since its doors first opened in 1964. With the advancement of kitchen technology, The Hussar Grill has updated its own traditional recipe. Of course, it is always best to try this sauce in the restaurant itself, where it will accompany one of the best steaks in the land. But here’s how any Masterchef-in-the-making can make The Hussar Grill Blender Béarnaise Sauce in a snap. 2. Remove from the heat and add 10ml cold water. 3. Place in a blender, add egg yolks and blend until thick and creamy. juice, salt and cayenne pepper. If too thick, add a drop of hot water.